I've been clean for almost 1 year and I relapsed two weeks ago and already police lights were behind me in my rear view mirror. How scary, how memorable of the hell and all of the nightmares the heroin brings along with it were back to haunt me. But I didn't feel a thing when I got pulled over, I didn't feel scared or feel tired from being on the run and didn't feel mad... I felt absolutely nothing! I let the police search my car which I knew there was nothing in there. The only thing that could have changed my mood today was if I would have gotten the drugs. That's what I went there for. And that was not what I got. So I was only feeling upset because I didn't get the drugs. Heroin is such an overpowering drug. I've worked in the program and with the program I shared when I reached my 6 month sobriety and the last year was filled with meeting new people and people that knew the depths that our poisons could take us to. But I strayed away from that, I lost all hope and I went back to the one place I know, the one place that I solely believe is my fate... to die with a needle in my arm. What a mistake!! Maybe the police being there to stop you was your fate? Thanks so much for writing your story. I know that many people who have overcome heroin addiction know exactly the feelings you're describing. Heroin addiction attacks our brain and makes us a slave to it. 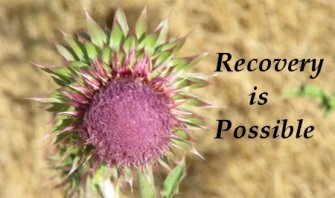 Relapse is part of the the recovery process because our brain tricks us into believing that we MUST have the drug and we need to continue relearn that we don't. That's how the devil gets his claws in us, by deceiving us into thinking that heroin is all we have. Please keep going to meetings and getting the support you need. Don't isolate yourself from the hope you find in others. Don't let the devil win.